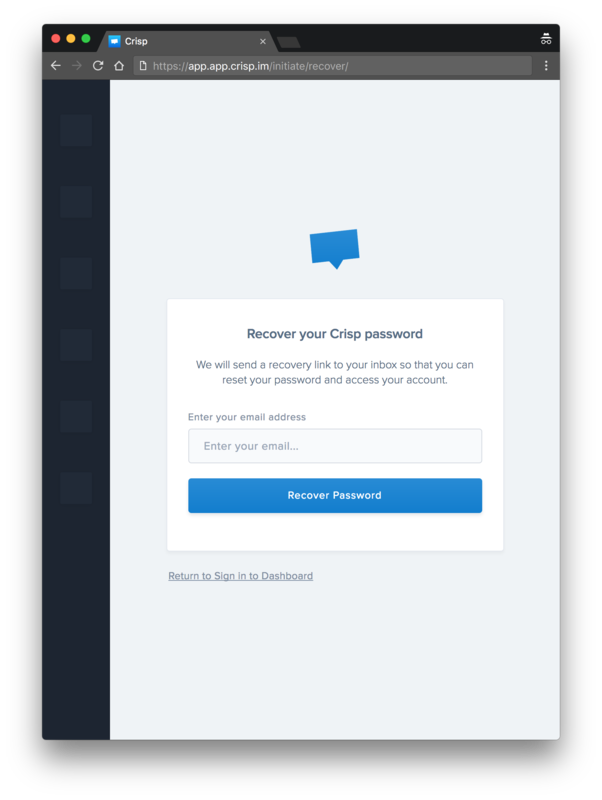 You can recover your password straight from the Crisp app. This article helps you recover your account and change your password. Once you submit the password recovery form, we&apos;ll send you an email with a temporary password. Notice: if you don&apos;t receive the email, check your spam folder. Use this temporary password to login to the app. Beware: the password is temporary and won&apos;t last long. Please go to https://app.crisp.chat/settings/account/ to set a new password. That&apos;s all! You should have recovered your Crisp account now.